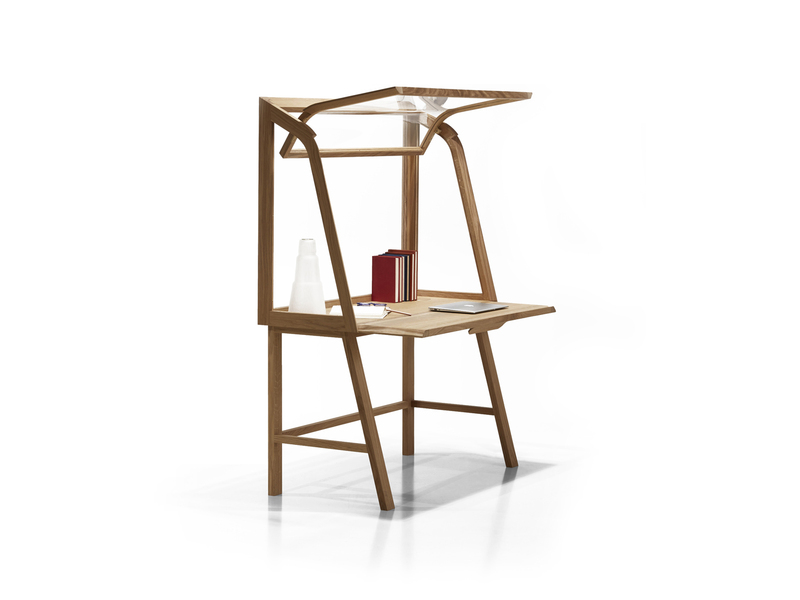 The Secretello Writing Desk from Molteni & C, designed by Michele De Lucchi, is a desk designed like a modern workstation, functional and self-sufficient. 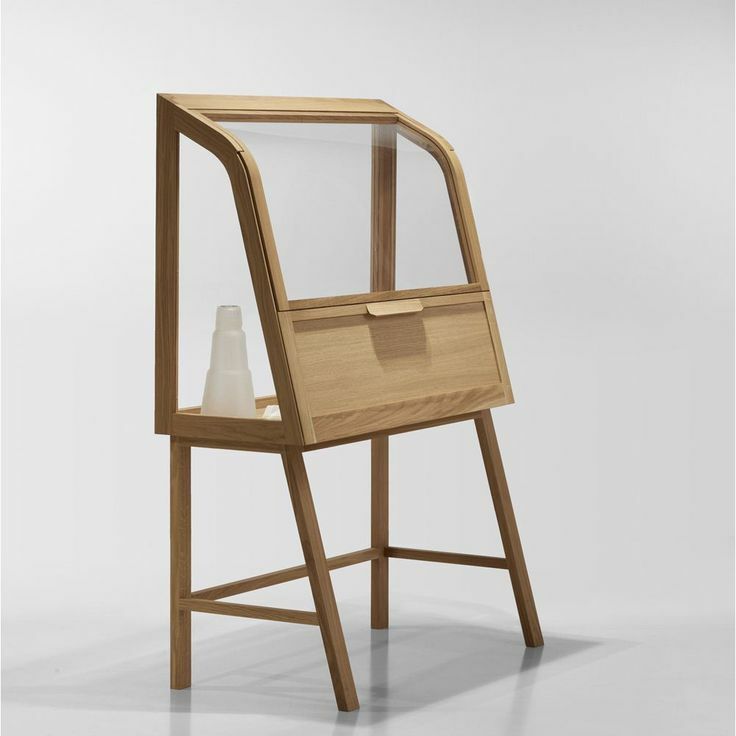 It reinterprets the classic theme of the wood & glass secrétaire, associated with display cabinets, in a more contemporary key. 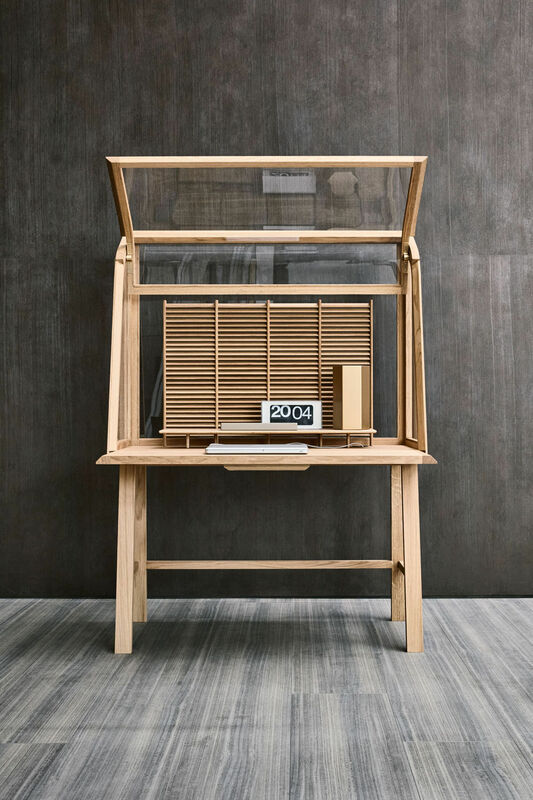 Designed for use in a home environment as well as an office, protected by glass walls, this desk features an elegant structure, complimented by quality materials and finishes. 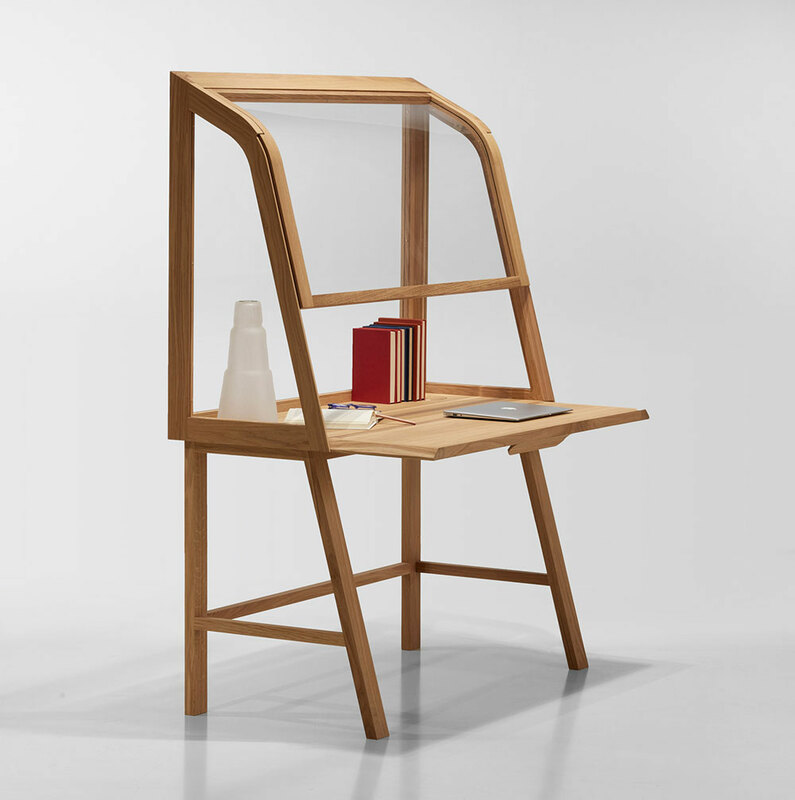 Made entirely of Natural Oak and safety glass, the Secretello consists of a solid yet sleek frame. The Secretello can also be fitted with a shutter panel and raised desktop perfect for organizing letters, paperwork and stationary.